At different periods during the history of Greater Mt. Sinai, the Lord has provided us with leaders to bring the church forward. As Mt. Sinai moves forward and continues to grow, & we worship and serve the Lord, we canthank the founder and previous pastors. The history of Mt. Sinai would not be complete without looking back into history at our roots and the 2nd Mt Zion B.C. In the early 1920’s, land was taken from residents on the east bank of the Mississippi River in lower Plaquemines Parish for the Bohemia Spillway. This Spillway was intended by the New Orleans Leeve Board to save the city of New Orleans from flooding. The people living in the Bohemia Spillway were relocated to different areas. In 1925 Second Mt. Zion moved to the west bank of the Mississippi River to Narin, LA on the Simpson’s Property. Church services were held in a little wooden church across the railroad track and Reverend Robert Simpson was the pastor. He served for approximately 15 years on the east bank and 10 years on the west bank. After Rev. Simpson departed his life, the church needed a new pastor. The congregation voted and Rev. Norwood H. Williamson was elected as the next pastor. Baptisms were held in the Mississippi River. At the end of the 1950’s Second Mt. Zion B.C. was dissolved. On October 5, 1957 the congregation of the Second Mt. Zion B. C. represented by Reverend Norwood H. Williamson purchased a tract of land from Virginia Williams in Narin, LA to build a new church. The land was paid for in cash at the act of sale. After the purchase of the land in Narin, LA in 1957, and Rev. N.H. Williamson with the help of his sons who were also carpenters built a new brick church made of concrete blocks with a baptism pool built inside the church beneath the choir stand. The original church pews were built by Rev. Williamson and stained by the church members. fees and building fund. The church had no debt. In addition to his pastor duties, Rev. Norwood H. Williamson was the President of the Christian Ministers Missionary Baptist Association of Plaquemines Parish from 1960-1965. The Christian Ministers Missionary Baptist Association was invited by Rev. N.H. Williamson to ordain and install Minister Haywood S. Harvey Sr. as Assistant Pastor on November 20, 1963. Upon the death of Rev. N.H. Williamson in 1973, Rev. Haywood Harvey was elected and served as pastor in charge and then was installed as pastor under the auspices of the Christian Ministers Missionary Baptist Association by the late Rev. Henry Hardy Jr. The Greater Mt. Sinai B.C. represented by Rev. Haywood Harvey purchased additional land from Virginia Williams on September 19, 1975. This property was for an extension to the existing church area for a kitchen, bathrooms and to enlarge the choir area. He was involved with renovations of the church including paneling, carpeting, and ceiling tiles. Rev. Harvey was instrumental in getting the members to start tithing. Rev. Haywood Harvey licensed three ministers and ordained two ministers. He also served as pastor of Bethelem B.C. in Point-A-La-Hache, LA from1977 to 1991. In Addition to his pastoral duties, he also faithfully worked in the Christian Ministers Missionary Baptist Association and held the offices of Finance Secretary, 1st Vice-President and President of the Christian Ministers Missionary Baptist Association1987 to 1991. In 1988, Rev. Harvey recognized a need for an assistant and Rev. James Davis was installed as assistant pastor at the Greater Mt. Sinai Baptist Church. After the death of Rev. Haywood Harvey, Sr., Rev. James Davis served as pastor –in-charge. Rev. Davis was elected and installed as pastor of Greater Mt. Sinai Baptist Church in November 1992 by the Christian Ministers Missionary Baptist Association under the leadership of Dr. Wilfret Johnson. Rev. James Davis served as pastor at Greater Mt. Sinai Baptist Church until December 1999 when he resigned. In January 2000, the Christian Ministers Missionary Baptist Association asked Rev. Kenneth M. Parker, Sr. to serve as Interim Pastor of the Greater Mt. Sinai Baptist Church. Rev. Parker remained the interim Pastor until December 2000. Rev. Allen Johnson came to Greater Mt. Sinai Baptist Church in October 2000 on a trial basis for three months. He is a member of the Christian Ministers Missionary Baptist Association of Plaquemines Parish. The church members recognized the leadership of this young energetic, and spirit filled servant of the Lord. He was elected as pastor and installed on February 24, 2001. Rev Kenneth Parker stayed on and worked with the new pastor for 1 year. Church membership grew under his leadership. Each auxillary, including the deacons and deaconess boards, ushers, choir, musicians, and licensed ministers grew. Sunday worship service and Sunday school were observed, prayer service and bible study were on Wednesday evenings, and baptisms were on the fourth Sunday of the month. The church grew, members were tithing more and the church was being blessed. Our church motto comes from St. John 4:24 “God is a Spirit and they that Worship Him Must Worship Him in Spirit and in Truth”. Under Rev. Johnson’s leadership there was a face-lift and beautification of our sanctuary. The secretary’s office was enlarged, equipped with a computer, printer and other office equipment and. A children’s playroom was created and a foyer was added. On August 29, 2005 Hurricane Katrina came causing devastation to the GMSBC, and later the building was taken down. For 11 months the church did not come together for weekly worship service except for occasional meetings at a funeral as a few of the members passed on. On July 2, 2006 Bishop Wilfret Johnson opened the doors of Oakville B.C. and welcomed Rev. Allen Johnson & Greater Mt. Sinai. B.C. to hold worship services here. We are grateful to him and Oakville B.C. for welcoming us to use their edifice. About 40 members, who came from far and near, were in attendance. All our lives have been touched & changed in some way by Katrina as well as GMSBC membership attendance as a whole because many of us are still displaced in different cities and states. On July 9, 2007 the Greater MSBC represented by Rev. 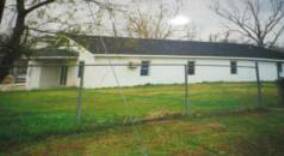 Allen Johnson purchased land from Dade A. Vincent to build a new Sanctuary and Education Building at 27954 Highway 23 in Port Sulphur, Louisiana. August 17, 2008 a ground breaking ceremony took place commemorating beginning the building of a new edifice for the Greater Mt. Sinai B.C. Family to hold worship services in. We were happy to have Officials of Plaquemines Parish present for this historical moment. They included Parish President- Mr. Billy Nungesser, District Attorney- Mr. Daryl Bubrig, Jay Freeman and a representative for Councilmen- Beauregard Turner. In 16 months we went from the ground breaking ceremony through the construction and completion of our beautiful new edifice overseen by Rev. Allen Johnson. We are thankful for the faithful few members who traveled the distances from far and near to attend worship services at the Oakville B. C. over the last three years. The Bell from 2nd Mt. Zion B.C. which came from the Bohemia Spillway was taken out of the building after the church was dissolved in the late 1950s. It was kept on the Harvey/Riley property until after Katrina. While this new church building was under construction, the bell was returned to be a part of this sanctuary connecting a part of the 2nd Mt. Zion B. C. building to the Greater Mount Sinai Baptist Church. The Dedication of Greater Mt. Sinai B.C. at 27954 Hwy 23 Port Sulphur, Louisiana 70083 was on January 17, 2010. Our new edifice has 7500 square feet which includes a children’s room, secretary’s room, 4 restrooms Pastor’s Study, kitchen, conference room upstairs, recording room, and baptism pool behind and above the choir stand. On January 31, 2010 the first baptism in our new church was held and included one adult- Terrence Encalade, and six children-Zion Mackey, Jazlyn Lightell, Kevin Riley, Keith Riley, Shaquan Gabriel and Jailyn Manuel. The first funeral was for Brother Albert Mackey on April 10, 2010. We hosted the Christian Ministers Missionary Baptist Association 58th Annual Session October 18-24, 2010. Today we say Thank you Lord, for blessing 2nd Mt. Zion Church Association to purchase land in the Bohemia Spillway 104 years ago. Through the years the dwellings of worship have changed. But the survival of the church is not in the building; it is in the hearts and minds of the people. Although membership here has been up and down thru the years and low at the end of the last century, I thank God because he said where there are two or three gathered in my name; there I’ll be in their midst also. We thank you Lord for allowing a faithful few to stand on your word. You said I would not leave you nor forsake you. 8 years ago there were those who said why don’t you all just close the doors and go someplace else. No one is going to go down there to be a pastor. A faithful few prayed and asked the Lord to send us a leader. Send us someone who will be able to relate to the members of Mt. Sinai and lead us in the path that you would have us to go. The Lord answered our prayer. He sent us a young minister from St. Bernard to Narin. Our pastor is a God sent man with a vision who has been doing great work. Mt. Sinai we, the church, must continue working in the vineyards doing the work of the Lord until he calls us home to glory. To God be the Glory. Land was purchased from Charles Ballay on November 18, 1904 on the east bank of the Mississippi River by the Second Zion Church Association to build a church. In 1915 the church was destroyed by a hurricane . It was then decided and agreed by the members to have services in the home of Sister Alice Raphael Simpson until the church was rebuilt. Second Mt. Zion B.C. was organized by a group of people including Reverend Robert Simpson, Deacon Matthew Simpson, Brother Clem Cannon, Wheeler Edgerson, Cornelius Riley, the Raphael's and others. Reverend James R. Davis, Sr.
"And I say also unto thee, That thou art Peter, and upon this rock I will build my church; and the gates of hell shall not prevail against it."